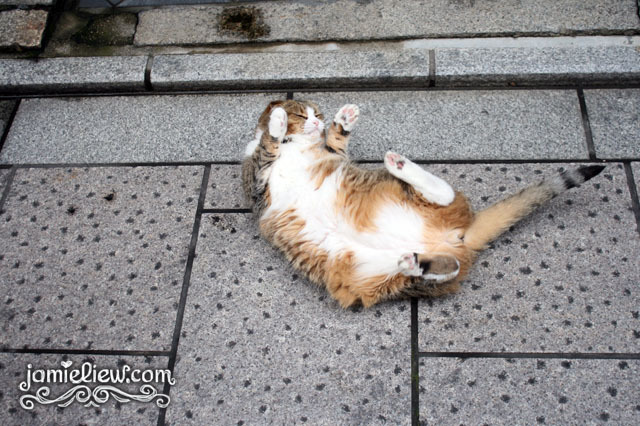 [Kyoto] Fat Cat in Gion. for the first time in forever my blog, an animal post. hahahhahahaha. I’ve never really liked cats. I’d scream and yell if there’s a cat near me. I especially hate how their tails touch my leg. and also when I slept over at a friend’s house in Korea whom has 3 cats and woke up with cats sleeping around me AND blood stains on my face (the cats scratched and walked all over me pfft). oh the door was closed. somehow the cats managed to open the door via the handle wth. I don’t know since when but cats DO seem adorable to me now. I still love dogs more but I start to think cats are really cute creatures. 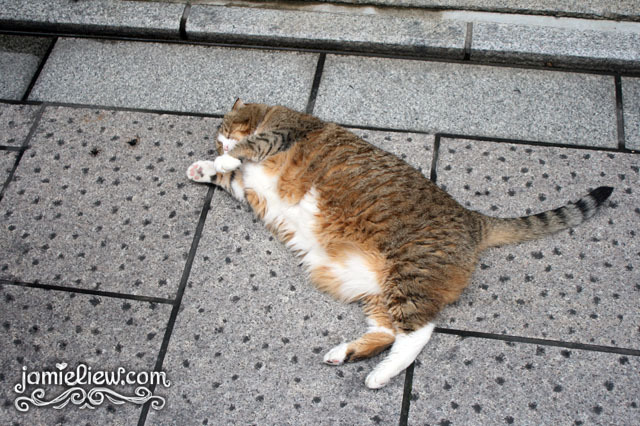 especially this fat cat I bumped into in Gion, Kyoto. 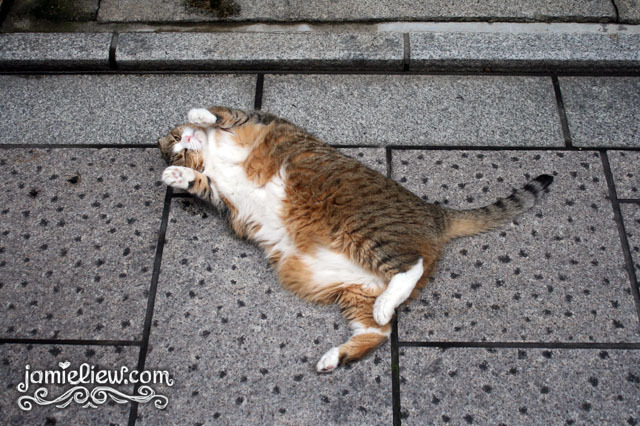 apparently this cat was kind of famous in Gion. locals recognizes it! it was soooooo fat. and it kept rolling around. here’s a video of it rolling! sorry for the ending part because I dropped my DSLR and my heart shattered T_T. This cat is soooo cute.. I’m gonna take it home with me if iIsee itt!! wehehehehehehehe. Do you have any idea of the cat’s name?